A November 2018 article in the BMJ reported a study concluding what many lawyers have known for a long time: patients who use sodium-glucose cotransporter 2 (SGLT2) inhibitors are twice at risk of having lower limb amputations than other diabetes medications. The scientists also reported that SGLT2 inhibitors are also linked to diabetic ketoacidosis. Sodium-glucose cotransporter 2 (SGLT2) inhibitors are medications that lower blood sugar in adults who have type 2 diabetes. They are used to complement diet and exercise. SGLT2 inhibitors may be available as a single-ingredient product or combined with other diabetic medications including metformin. They reduce the amount of glucose being absorbed by the body through the kidneys. This helps to reduce blood sugar by removing excess glucose through urine. 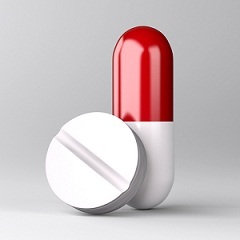 A lawsuit recently filed in the U.S. District Court District of New Jersey alleges that someone received stomach cancer as a result of taking proton pump inhibitors (PPIs) Prilosec, Nexium, and the variations of both drugs. PPIs are used to treat many different stomach conditions, but can create even worse problems in the stomach as well. Before informing yourself on this lawsuit, you must first inform yourself on PPIs, specifically Nexium and Prilosec. You must also inform yourself about their potential side effects. What are Proton pump inhibitors? Proton pump inhibitors (PPIs) are medications that reduce the amount of stomach accident found in the stomach lining. They help relieve symptoms of acid reflux, a condition in which food or liquid goes back up to the esophagus. PPIs can also help treat a stomach ulcer. In addition, they can also treat lower esophagus damage resulting from acid reflux. PPIs can be used to treat heartburn as well. They come in various brand names such as Prilosec, Nexium, Prevacid, AcipHex, Portonix, Dexilant, or Zerid. On July 13, 2018, the Food and Drug Administration (FDA) recalled Valsartan because they contain the contaminant N-Nitrosodimethylamine (NDMA). The FDA noted that valsartan products pose an unnecessary risk to patients. There are seven things you should know about this recent recall. NDMA is a contaminant. According to the EPA, it is a semivolatile organic chemical. It can be either naturally occurring or synthetically made. It is not currently produced in the United States. NDMA can be unintentionally produced through chemical reactions, especially those that involve alkylamines. It is also an intended by-product of chlorination of wastewater through use of chloramines. These chloramines are used to disinfect the water. There is a risk that NDMA is a possible drinking contaminant. Sprue-like enteropathy is an intestinal condition involving chronic diarrhea, nausea, stomach severe stomach discomfort and rapid weight loss. Sprue-like enteropathy is very similar to celiac disease, which causes adverse reactions to the consumption of gluten. Much like celiac disease, sprue-like enteropathy can damage and erode the intestinal villi (tiny finger-like fibers on the inside of the intestines that help absorbs nutrients from food). This type of damage or erosion of the intestinal villi is referred to as villous atrophy. When villous atrophy is caused by adverse reaction to gluten the condition is classified as a celiac disease. Sprue-like enteropathy is used to categorize villous atrophy resulting from other causes such as drug reactions (see below). If left untreated, sprue-like enteropathy and villous atrophy can permanently damage the body’s ability to process and absorb nutrients in food resulting in chronic malnutrition. The condition is very serious and can easily become life-threatening. Sprue-like enteropathy can be caused by use of olmesartan – a popular high blood pressure medication sold under the brand name Benicar. It is also sold under the names Benicar HCT, Tribenzor, and Azor. Benicar works to treat blood pressure problems by causing blood vessels to relax and expand making blood flow easier and lowering overall blood pressure. Benicar is manufactured by the Japanese pharmaceutical company Daiichi Sankyo, Inc. After first being released in 2002, Benicar has rapidly gained popularity and has been prescribed to over 12 million patients in the U.S. In 2012 a study by the Mayo Clinic first established a link between prolonged use of Benicar and sprue-like enteropathy. This prompted the FDA to conduct its own review and in 2013 the FDA released a public safety announcement warning that Benicar can cause sprue-like enteropathy. After the FDA announced the warning label for Benicar was amended to include this safety risk. The FDA has recently expressed concern about a certain group of medications called SGLT2 Inhibitors. This category of drugs includes popular prescription medications such as Invokana and Farxiga. Although these drugs have been, by all accounts, fairly successful when treating Type 2 diabetes. But, they have produced their fair share of side-effects. Specifically, users of drugs such as Invokana are now reporting high levels of blood acid, the effects of which have landed some users in the ER. While no deaths have been reported, there is no question that if these reports are accurate, these levels of blood acid could cause serious injury and death. Accordingly, plaintiffs’ lawyers are investigating whether there is a connection between these drugs and these high acid levels and, if so, whether these drug makers knew about these risks and simply failed to inform patients and doctors. If these dots are connected – and there is reason to think they might be – there are likely to be both serious injuries and lawsuits seeking compensation for those injuries. The preceding paragraph was written some time ago. In May 2017, there are 230 lawsuits pending in a federal MDL in New Jersey. July brought changes to thirty-four (34) medical product labels (down from 44 changes in June), with changes to the prescribing information to include any of the following areas: boxed warnings, contraindications, warnings, precautions, adverse reactions, patient package insert, and medication guide. For a complete detailed accounting of the label changes, refer to the summary of meds. By clicking onto the drug name, you will be able to view the detailed summary, which will identify the safety labeling section and revised subsection, as well as a brief summary of the new or modified safety information. According to a recent news release, regulators in Europe have concluded that there is little evidence that widely used drugs to treat Type 2 diabetes could cause pancreatic inflammation or pancreatic cancer. In addition to the European agency, the Food and Drug Administration has been reviewing the safety of a big class of drugs that includes Januvia by Merck and the drugs Byetta, Bydureon and Onglyza, which are sold by Bristol-Myers Squibb and AstraZeneca. These drugs, called incretin mimetics by the FDA, increase the body’s levels of a hormone that helps to control blood sugar levels. They have, however, been linked to pancretic inflammation known as pancreatitis. While the European agency said that the clinical trials had shown no increased risk of pancreatic cancer,the FDA said the trials were too small to draw firm conclusions. Last month we told you that a group of Plaintiffs had filed a motion to consolidate all federal Lipitor diabetes lawsuits before one South Carolina judge as part of a Multi-District Litigation or MDL. To date, at least five different Lipitor lawsuits have been filed against Pfizer in three different U.S. District Courts throughout the country. The motion indicates that numerous additional complaints are expected. Not surprising, Pfizer has indicated that they are opposed to the formation of coordinated proceedings involving Lipitor, arguing that the litigation is not sufficient big enough to require the consolidated proceedings and that such a procedure would only result in a wave of lawsuits filed by lawyers who may not otherwise be willing to litigate claims. Lipitor has been linked to diabetes. Lipitor prevents an enzyme in the liver from creating low density lipids (LDLs). The drug works to prevent the production of LDLs, a type of cholesterol that blocks arteries, and reduce the user’s risk of developing heart disease. 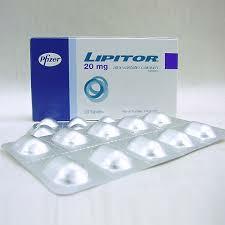 Lipitor, which generates more than $14.5 billion in combined annual sales, is among the best selling drugs in the world. Will We Have a Lipitor Class Action Lawsuit? 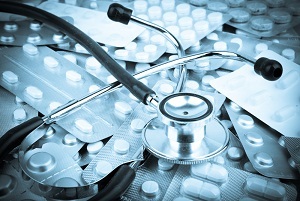 Five plaintiffs last week sought an MDL for federal lawsuits against Pfizer’s Lipitor. The allegations are the same in all cases: the cholesterol drug caused them to develop diabetes. The gist of plaintiffs claims is that the drug increased serum glucose levels causing diabetes. Pfizer never properly let patients or doctors know of this risk so they could make a different choice or perhaps avoid this class of drugs all together. Accordingly, the suits allege, Lipitor is defective and unreasonably dangerous and the drug was sold with a warning that did not properly alert patients and doctors of the risk. Not for nothing, Pfizer has been making money had over fist with Pfizer. If you have help Pfizer stock in the last few years, you have gotten pretty rich in no small part due to Lipitor. 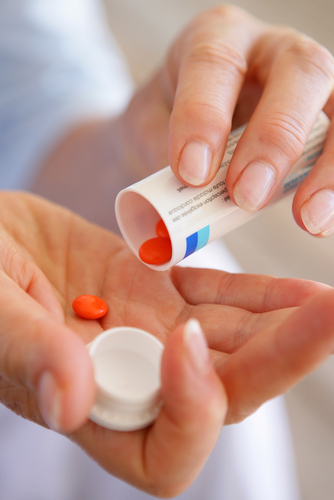 Almost all prescription drugs carry the potential for side effects. Some of these are minor, others significant. Recent data suggests that Lipitor, the popular cholesterol drug, is strongly correlated with increased rates of Type 2 diabetes. Lipitor (atorvastatin calcium), made by Pfizer, is a statin. Statins reduce cholesterol by blocking specific liver enzymes. By blocking these cholesterol-producing enzymes, the body begins to use cholesterol already in the blood. This process lowers overall cholesterol levels as well as the risk of heart disease and heart attacks. One problematic and newly discovered side effect of Lipitor is the increased potential for developing Type 2 diabetes. Just last year the FDA mandated a change to Lipitor’s warning label. The new label specifically tells users of the threat of diabetes. Other statins, like Zocor and Crestor, were also required to make similar label changes.